Catherine Wessinger is the Rev. H. James Yamauchi, S.J. Professor of the History of Religions at Loyola University New Orleans. Her primary research and publication areas are women in religions, new religious movements, millennialism, religion and violence, and the Branch Davidian case. 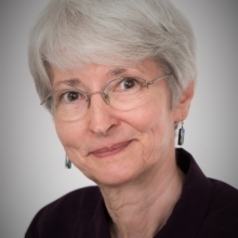 Dr. Wessinger is editor of the Women in Religions series at New York University Press. She is co-director of the Women in the World’s Religions and Spirituality Project, which is part of the World Religions and Spirituality Project online encyclopedia and archive. Dr. Wessinger has published nine books. She is the author of Annie Besant and Progressive Millennialism (1988); and How the Millennium Comes Violently: From Jonestown to Heaven’s Gate (2000). She is editor of Women's Leadership in Marginal Religions: Explorations Outside the Mainstream (1993); Religious Institutions and Women's Leadership: New Roles Inside the Mainstream (1996); Millennialism, Persecution, and Violence: Historical Cases (2000); and The Oxford Handbook of Millennialism (2011). Her oral history project with surviving Branch Davidians resulted in three autobiographies, which she edited: Memories of the Branch Davidians: Autobiography of David Koresh's Mother, by Bonnie Haldeman (2007); When They Were Mine: Memoirs of a Branch Davidian Wife and Mother, by Sheila Martin (2009); A Journey to Waco: Autobiography of a Branch Davidian, by Clive Doyle with Catherine Wessinger and Matthew D. Wittmer. She is currently completing a book on theory of women in religions for the Women in Religions series at NYU Press, and writing an updated and expanded second edition of How the Millennium Comes Violently for Rowman & Littlefield.